“This is all for fun— and if it isn’t fun, really why do any of it at all?” explains their young frontwoman and vocalist Ellie Linden. Fun— both in the writing of music and the plentiful goofing that surrounds it— has driven Das Body since Linden’s very first practices with fellow songwriter Kim, a few years back. According to Linden, Oslo is a grungy little city that wants to be big. Still, its underground is not all that easy to find. So, Das Body just laid low and enjoyed forging their own sound, which they claim they didn’t fully discover until writing the cool, nightriding “Graceland” and the entreating ballade of unreciprocated love, “Know My Name.” With these, and bringing on Patrik on guitar and Didrik on drums, Das Body tossed their previous work and eagerly began assembling their latest four songs into a debut EP for Luminelle, who caught a show on a trip to Oslo and happily asked to sign. 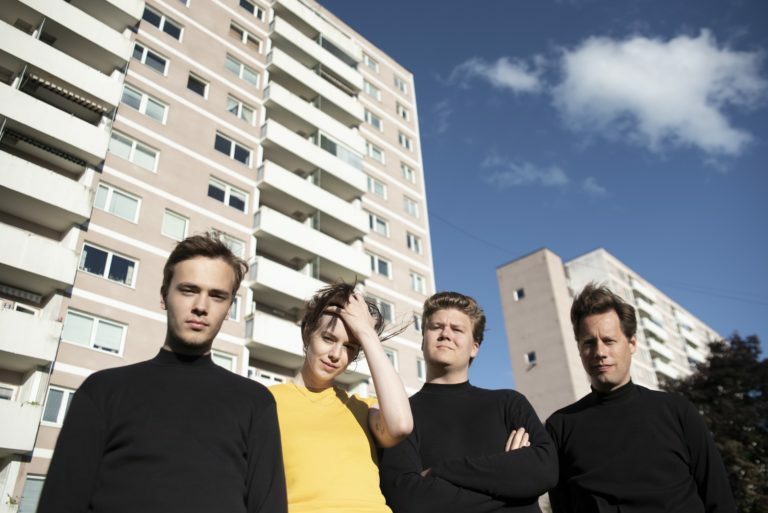 Now, with their hat in the ring, Das Body brings a uniquely Nordic odd-pop that is, nonetheless, destined for charts the world over.